Minds in Bloom is thrilled to welcome Jessica from Ideas by Jivey to the blog! Jessica is sharing some information about her favorite topic: mentor texts! I love a good piece of literature, don’t you?? And I REALLY wish that I could just read all day long, but I can’t. There just isn’t enough time! (Can I get an AMEN?) So instead, I maximize my time with my favorite texts by using them several times for several subjects! I’ll start with reading since that’s usually where we think of using a good book. We do not use a basal reader at my school. I know there are many of you out there that love your basal, but for me it doesn’t fit in with how I like to teach. There are definitely some good stories in the basal, and I see some benefits in all of the students having the same text in front of them…but I want my students diving into texts that are on their level to become better readers. This is why I use guided reading – to teach my students skills on their level. I have small sets of different leveled books in my classroom, and my school also has a fabulous book room of sets for small groups! Of course, that does not mean I don’t ever teach whole group. This is where mentor texts come in. I use a Reading Workshop Model in my classroom. 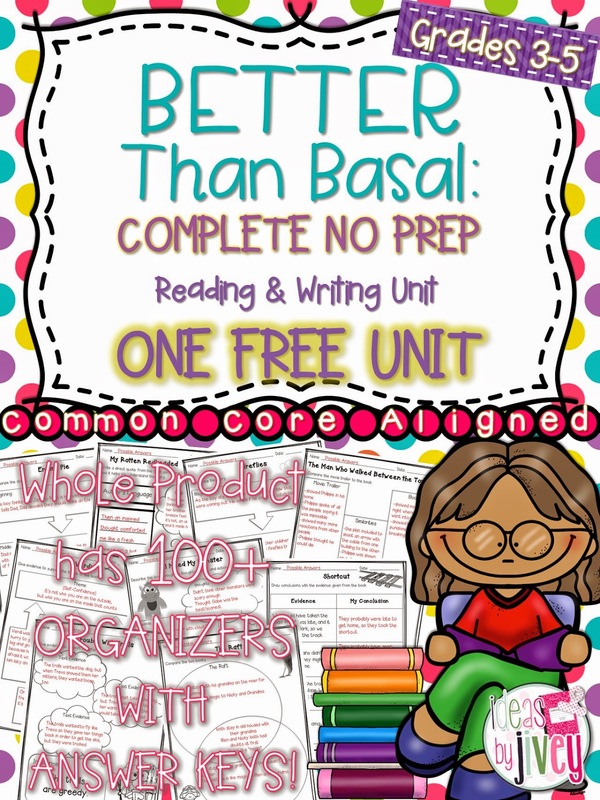 I start with a mini-lesson that teaches them how to demonstrate one of our Common Core standards; during my mini-lesson, I get to use those fabulous books that I love. All of the students come to the floor so they can get up close with the text. I usually read the book all the way through on Monday. Since this is the first time they are hearing the book, I generally read it just for the purpose of entertainment. Then, when it’s time for my reading mini-lesson, I refer back to the book, sometimes just reading a few pages of it to focus on a skill. This helps to keep my mini-lesson “mini.” I often use a graphic organizer to help guide their thinking. It also allows for an “I Do, We Do, You Do” lesson. I can start the graphic organizer with them, and then they can help suggest something to add to it, and finally, they can finish it on their own. Of course, then they’ll also be able to do that skill with their own book to show their thinking! Now, reading is over…but I’m not done using that text! That author got published for a reason, you know…usually because they show awesome craft and skill in their writing! Don’t you want students to notice that as they read? I know I do! I use my mentor texts for grammar and writing through the use of mentor sentences. Haven’t heard of mentor sentences? You can read more about them here! I want my students to recognize what good writers do and then incorporate those skills into their own writing. 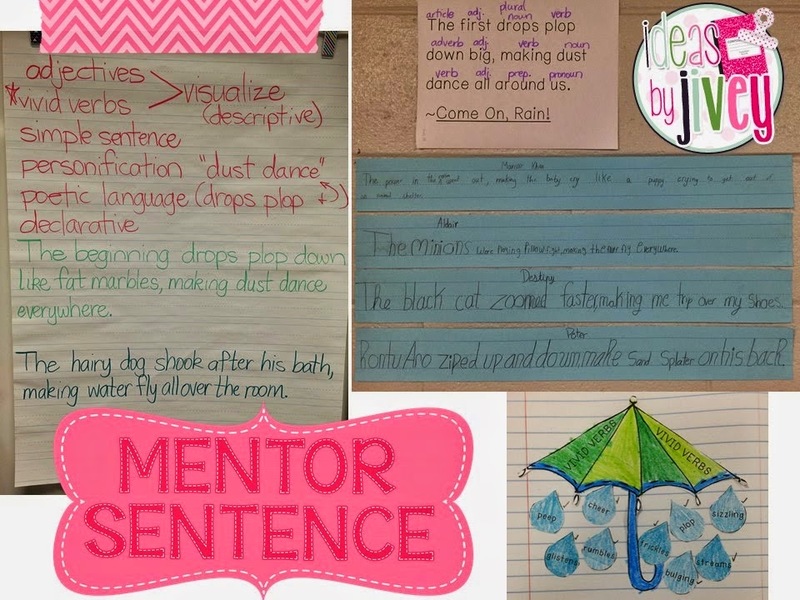 For 10-15 minutes each day at the start of writing time, we look at a mentor sentence that was taken from the mentor text we are reading that week. We notice all the wonderful things about it, we figure out patterns in parts of speech, we revise the sentence, and we imitate the author in our writing – all over the course of the week. I also like to use the theme of the mentor text for an on-demand writing prompt. 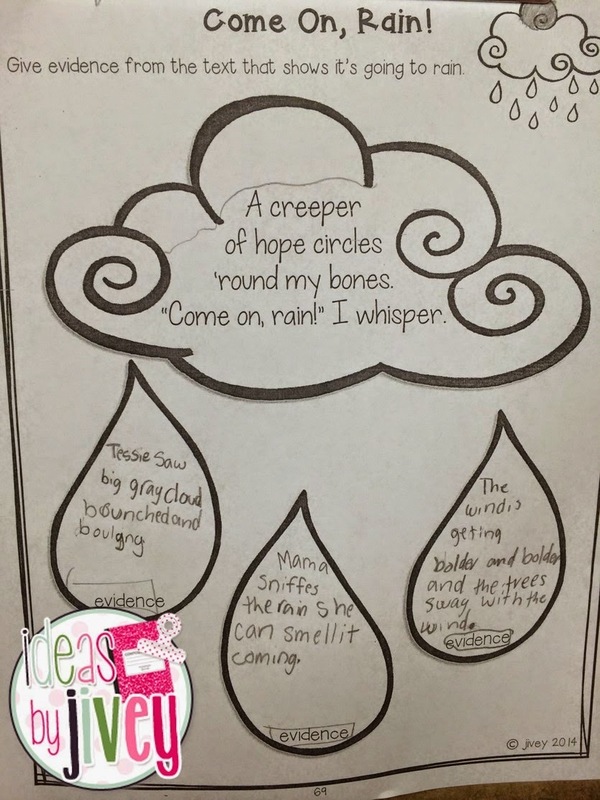 For example, with the book Come On, Rain!, students can write about a time they’ve waited for rain or even pretend to be a meteorologist and give a weather report! This freebie uses the mentor text, The Wretched Stone by Chris Van Allsburg. There are so many fabulous skills that can be taught with this book in reading and writing, and it also lends itself well to world exploration in social studies! 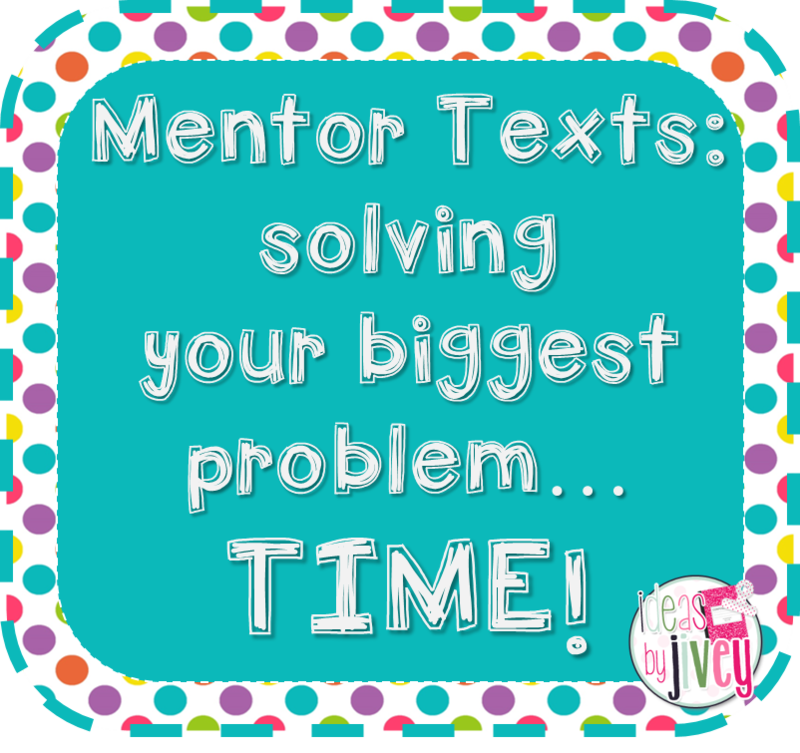 I hope this gives you some food for thought about using mentor texts in the classroom! Please visit my blog and my TPT store for more ideas, including mentor text units and mentor sentence lessons! Jessica Ivey (affectionately known as jivey) is in her ninth year of teaching. 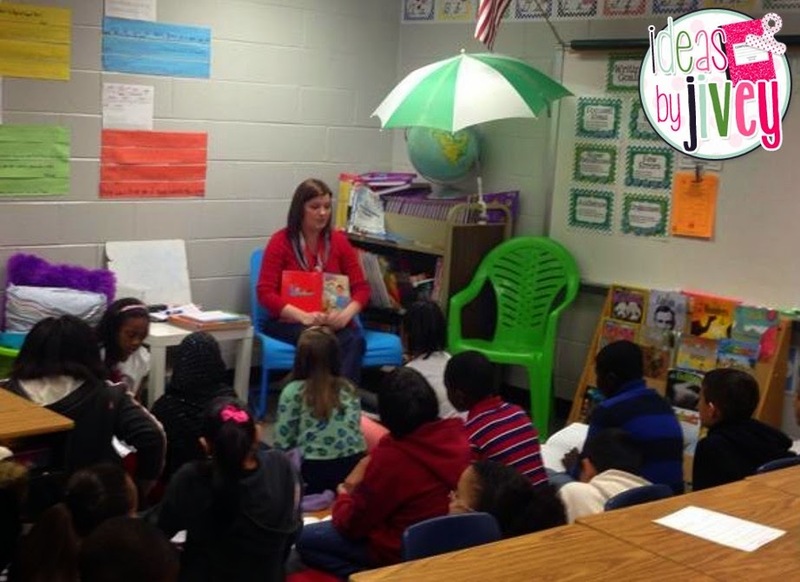 She is currently a 4th grade teacher, but she’s taught 1st-4th grades in her career. She also loves mentoring and coaching other teachers, so she received her Specialist degree in Teacher Leadership. Blogging, creating, and sharing resources is a true passion of hers, as this has been a way for her to reach teachers all over the world, not just in her school. I was looking for mentor texts for 2nd grade. All I could find in the TPT store was for Cloudy with a Chance of Meatballs. Do you have more?